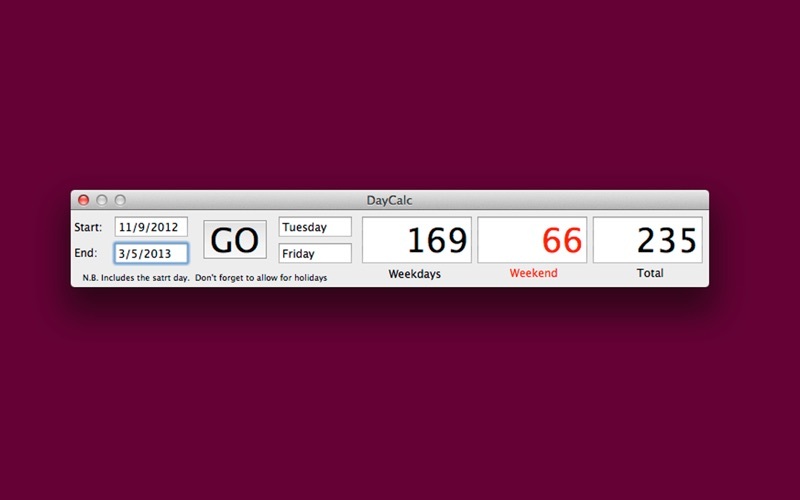 DayCalc is a simple utility which tells you the number of weekdays and weekends days between two dates. You might use it to help you plan a major project, to see how long to your wedding or to test whether a 20-weekday reply period has been met by an organisation. DayCalc will automatically use your local date format as set in your Control Panels, e.g. day-month-year for the UK, month-day-year for the US, 11/11/2013 for UK. 11-11-2013 for the Netherlands. 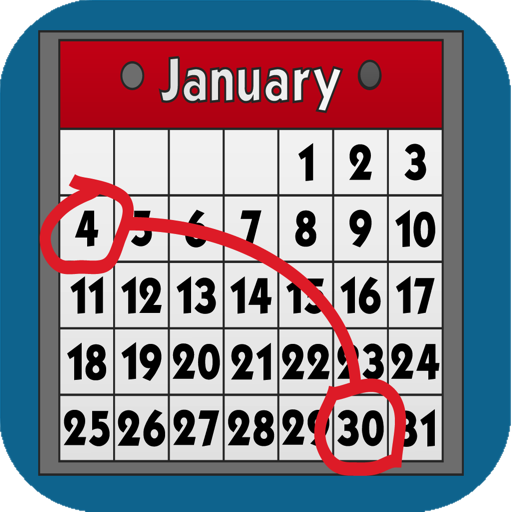 Works with all international date formats.